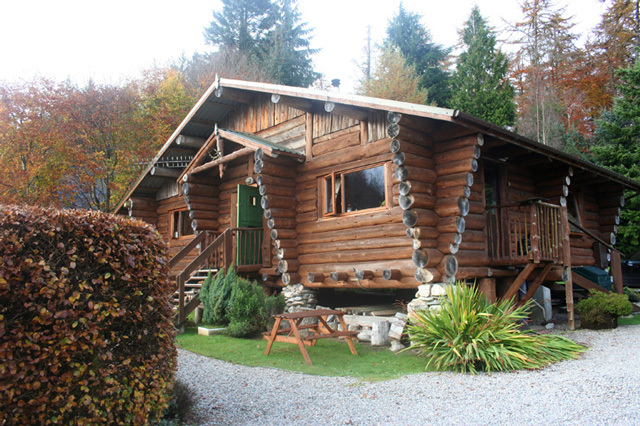 This beautiful self catering building is an authentic log cabin. 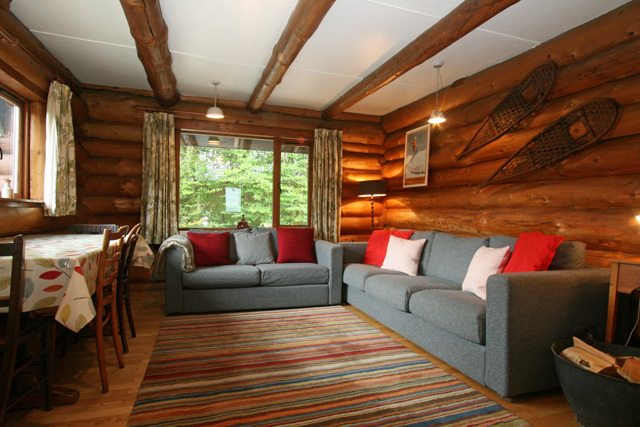 Built by Canadian foresters in 1980 it took them 2 years to take whole logs from the local forest and knit them all together to make the present day comfortable, and very cosy 2 bedroomed cabin. Situated in the forest 2 miles from the centre of the Loch Ness side village of Fort Augustus, in the heart of the Great Glen. 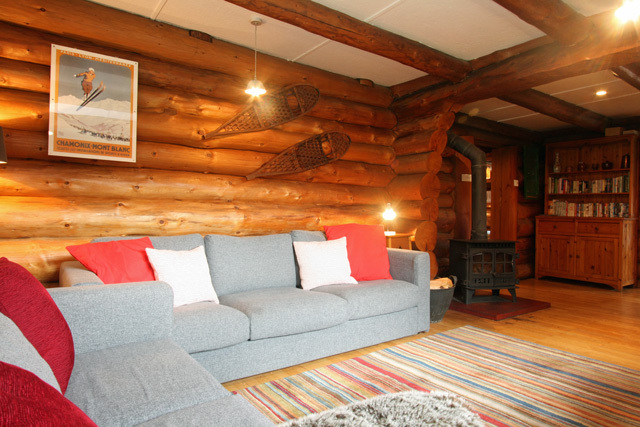 Many guests return year after year just to spend time in this unique log cabin. Understandably, given its superb setting and central location, (Fort Augustus is in the geographical centre of the Highlands of Scotland) this is one of the most popular holiday choices in the Highlands. Through the village runs the River Oich and the picturesque Caledonian canal and lock system, built by Thomas Telford in the early 1800's. Set in the forest with only a few other houses nearby. Close to the Great Glen cycle way and many miles of forest and hill trails. The cottage is warm and cosy throughout the year and is an ideal retreat for those wanting to spend some time walking, relaxing, and for quietly pursuing your favourite pastimes. There are many forest and hill walks from the doorstep. The River Oich riverside walk is only three quarters of a mile away, and a walk to the nearest pubs and restaurants in the village of Fort Augustus is one and half miles. The proximity to attractions also makes this a favourite destination for young families. With Fort William (Ben Nevis) and Inverness, only an hour away by car. The West coast also only a little over an hours drive. 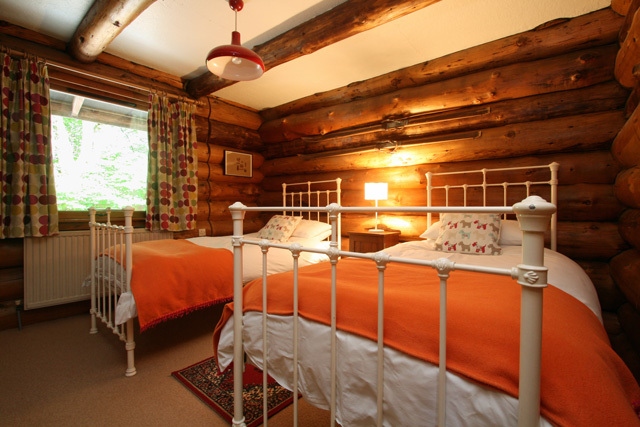 If your heart is set on a holiday in a log cabin and The Log House is booked then why not have a look our similar properties that can be found on the Log Cabins page. 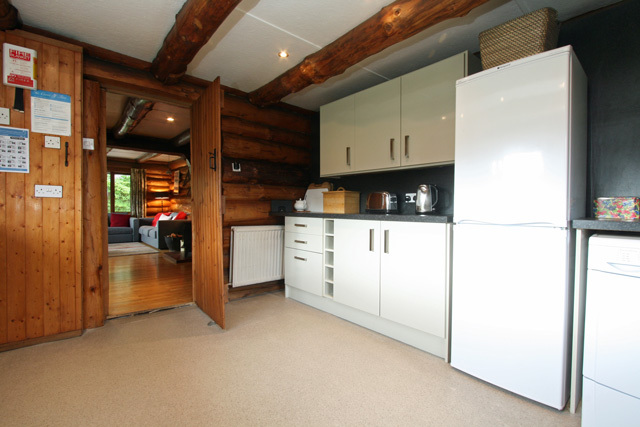 Open plan interior, log walls throughout and double glazing. LPG gas central heating with the addition of a multi fuel stove. Lounge with TV, DVD, CD, radio and a multi fuel stove, lovely atmosphere especially during the winter. There is a dining area at one end of the lounge. 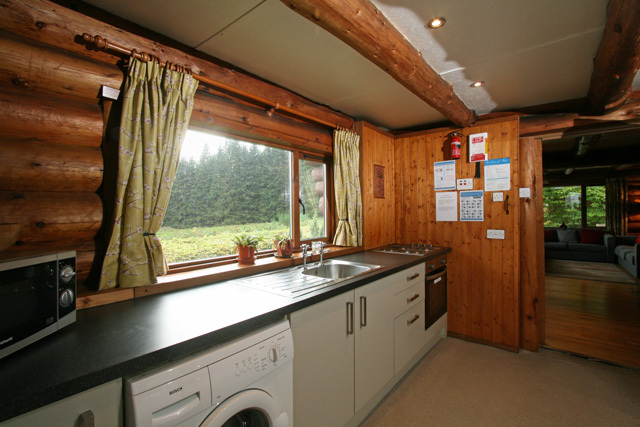 Kitchen includes, electric oven, hob, and grill, a washing machine, tumble dryer, fridge/freezer, microwave, toaster, and ironing facilities. Electricity, LPG gas and fuel for the stove. Very close to the Great Glen cycle route, so don't forget to bring the mountain bike! Bars, shops, and restaurants within walking distance. 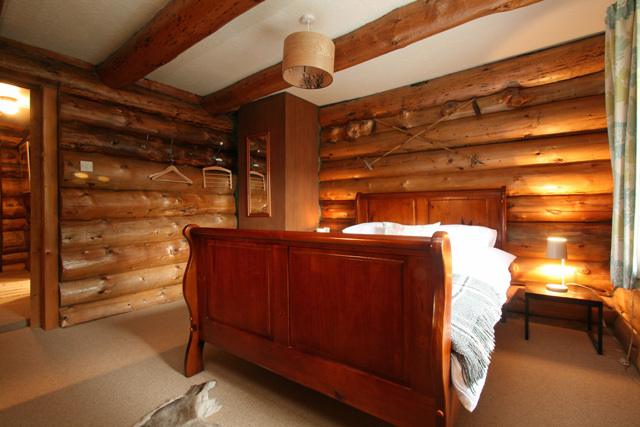 The Log House is extremely cosy and well equipped - just what I was looking for. It felt like a home from home! Idyllic walks nearby in the forest too. Good internet too, which was a nice surprise. Didn't need the log burner as weather was mild and central heating perfectly adequate. Did receive an extra delivery of logs though, which is a nice touch! The only issue I would say is the weather in Fort Augustus is extremely wet all the time and the gutters/down pipes desperately needed maintenance as they were leaking. The kitchen has pretty much everything you need except could do with an extractor fan to remove the cooking smells. Something that did stick in my mind was the squeaky kitchen floor which drove us mad. Overall, a lovely place in a great central location in the Great Glen. 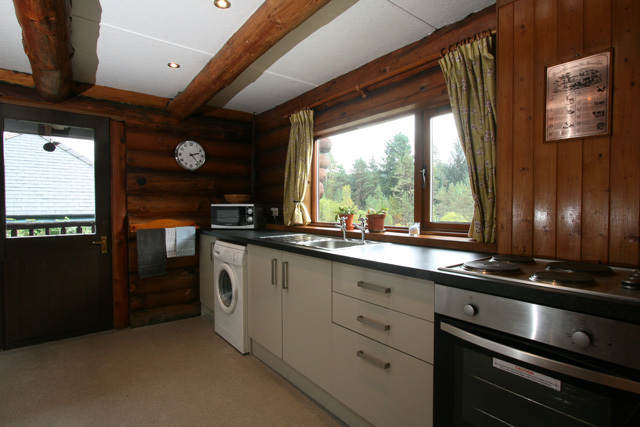 Lovely Log Cabin situated near Fort Augustus. We all found it very cosy and were able to see the various wildlife around the area. Would recommend it to anybody who wants to get away from it all for a while. Perfect get away from it all log house, with deer to be seen in the front garden and pine martins at night and with robins who like to come in and feed. 2nd time staying at the log house and no doubt i will be back next year.one word "AMAZING"
The Log House was without doubt the best self-catering accommodation we have stayed in within the UK. It was very well equipped, comfortable and in the most beautiful of areas. The house itself was like something from a fairytale ! Mr Lee the owner made us feel very welcome. 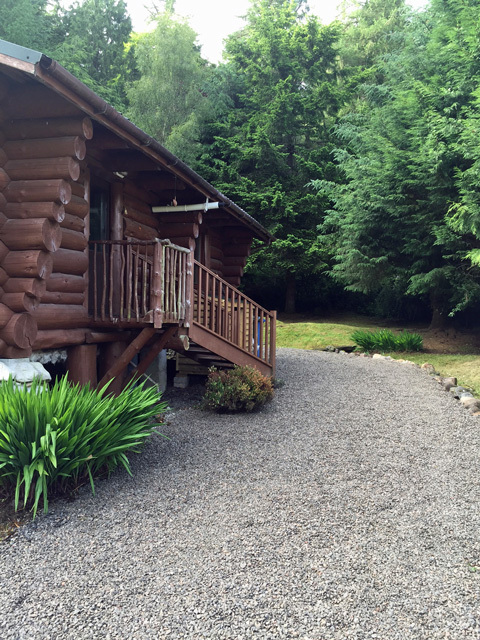 We have just returned from our week at the Log House, Fort Augustus a real log cabin in a fantastic location with plenty of forest walks on the doorstep. 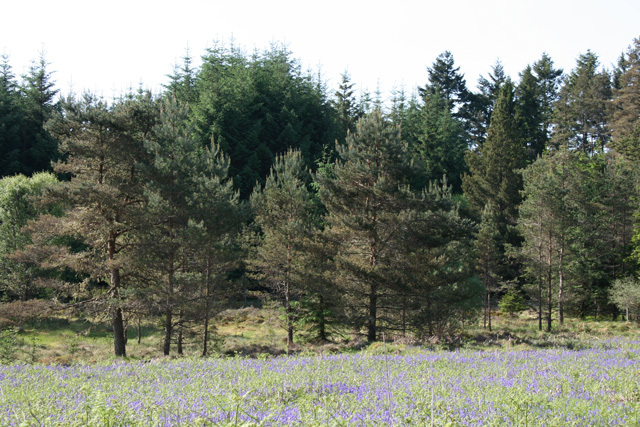 Deer in the front garden woodpeckers and pine marten in the surrounding forest and a monster in the nearby loch. What more could you ask for?! I highly recommend a stay in this unique cabin. We stayed early Feb, Had an excelant holiday. The Log House is like a chololate box lid, something out of a fairy tale... Kids loved staying here, local walks were great, overlooking the Glen. Highly recommended - Will come back. Perfect cottage in quiet woodland setting. Very friendly and helpful owner, good walks with perfect views over Loch Ness, nice pubs. Will be back with mountain bike for a full week next time. Had two super weeks in this well appointed cabin. Lovely area, lots of walks and well placed for trips. Bob, the owner, was extremely pleasant and helpful. We will certainly return. Excellant. A perfect place and everything met our expectations. The service from Wilderness Cottages cant be faulted and the owner was very helpful. Definately will be a return customer. We had a wonderful and relaxing time at the Log House. Lots to see and do but all at your own pace. The perfect medice for our busy London lives!! Weve been recommending it to absolutely everyone since. Its given us both a new found passion for Scotland and we will definitely be back!! Heaven, No other words needed!! We were blessed with excellent weather during our week in October which only enhanced the pleasure of our stay. The Log House is a wonderful place to escape to and I have no doubt well be back for some more of the same. Cant recommend it highly enough. 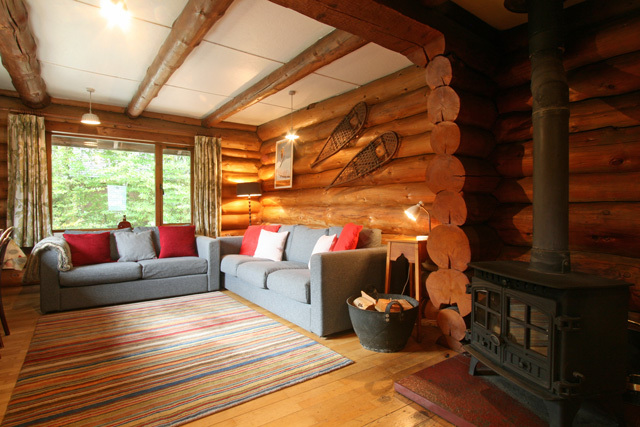 The Log House was set in stunning scenery in a forest location, a stones throw from Loch Ness. Excellent facilities, great for a family! A good choice if you want a base to tour from, or great for walking. We saw more wildlife in 7 days than we see in 7 years in Coventry! Dont hesitate its an excellent choice, I have no doubt well be back. Thanks Bob. 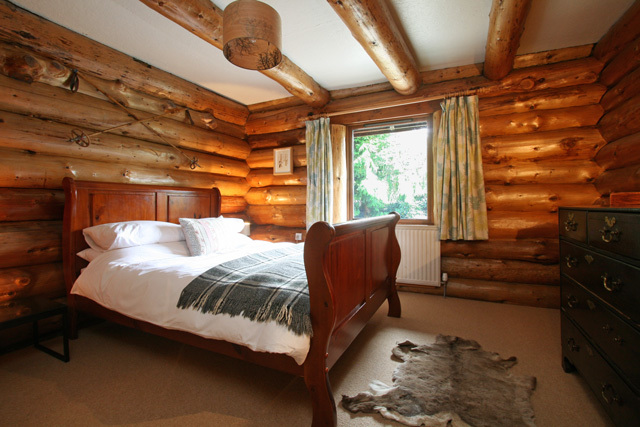 The log house really is special and the location is fantastic and easy to get to, the standard of cleanliness was very good and Mr Lee did all he could to ensure our stay was perfect. The walks in the area were fantastic and the only thing that let us down was the weather, but all in all, we took home great memories and fantastic photographs and we will definately be returning to the Log House, a very special place indeed. We have just returned from a wonderful week at the Log House. 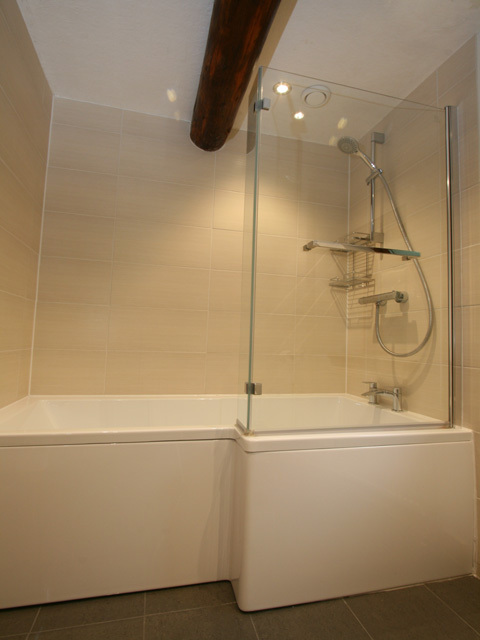 The owner is fantastic and very helpful and the cottage incredibly well equipped. It is situated in a lovely forest by the River Oich and very handy for popping into Fort Augustus. I would go back again in a shot and would def stay in that area again as it is such a good base for seeing the rest of the Highlands. We only had one bad day weather-wise which isnt bad going. I wish we were back there now!! 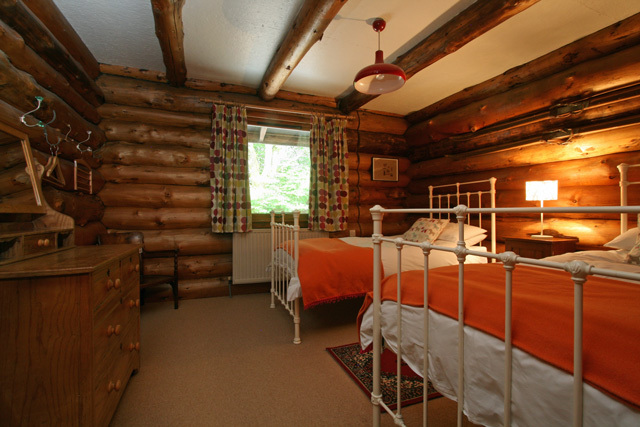 The Log Cottage is unique accommodation set in glorious countryside. Me, my wife and my parents stayed at the Log Cottage 10th-17th April and enjoyed every minute. 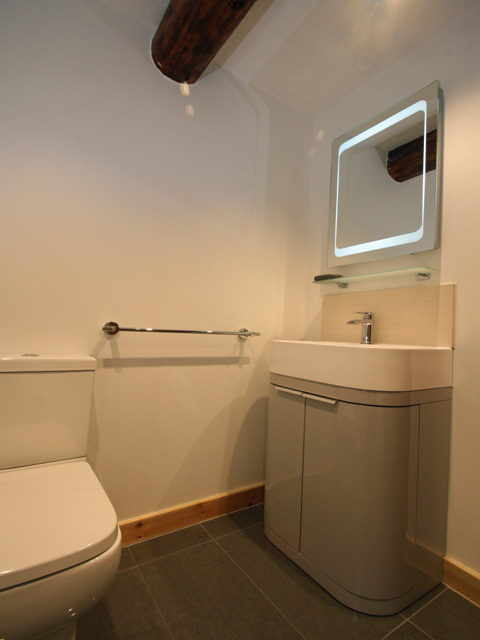 The cottage was clean and well fitted out, the owner courteous and helpful. I will certainly be returning to the area via Wilderness Cottages.